Surprise! 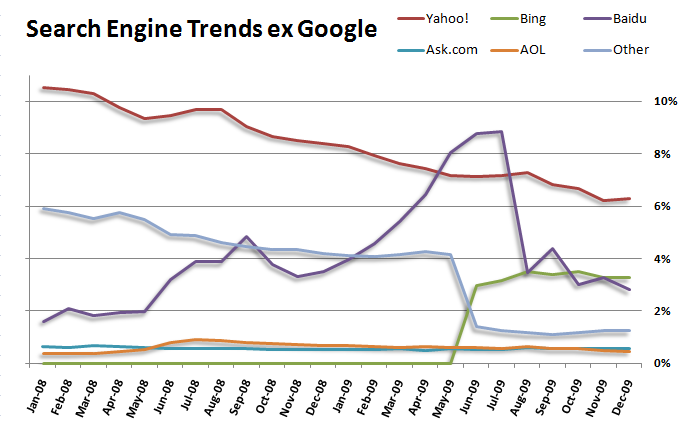 Google (GOOG) continues to take market share from its competitors. Baidu (BIDU) may see a change and uptick in the next monthly reading as there is talk of Google pulling out of the China market. But that remains to be seen. Where Google remains they will dominate.